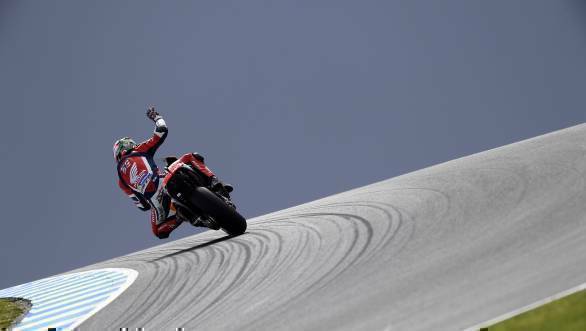 Widely acknowledged to be one of the nicest racers in the paddock, Nicky Hayden had won the hearts of fans over his time in MotoGP. But beyond that, he had also managed to acquire the respect of his colleagues, and of the entire section of media who followed the racing from one track to the next. After all, Hayden was the good guy. In what is a completely cutthroat sport, Hayden usually had a smile for everyone in the paddock. A year since his death, the tributes are pouring in for the Kentucky Kid, who passed away on the 22nd of May, 2017 after succumbing to injuries from a road accident. Hayden had started competitive racing at an age when he could not even hold the bike upright by himself, he would frequently start races from the back of the grid so a family or crew member could hold the bike up from behind. As he grew up, he upped his competition ante too, and before he entered the premier class of motorcycle racing in 2003, he had won the AMA Superbike Championship in 2002. And with all these tributes that poured in yesterday, I felt a sense of tremendous sorrow at the loss of someone like Hayden. But it also made me think back to a time when I was very young, and hence, stubborn. See, I was not a fan of Hayden, particularly during his sole world championship winning season in 2006. Valentino Rossi had had a rough start to the season with some mechanical failures, while Hayden had led the championship most of the time. However, in the latter part of the season, Rossi made his way up the points ladder. 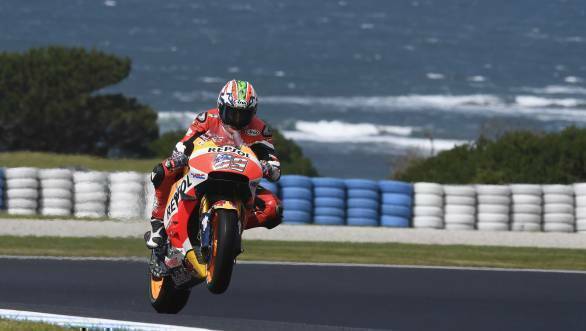 He had even managed to grab the points lead after Hayden was taken out of the penultimate race at Estoril, Portugal by his own Repsol Honda teammate Dani Pedrosa. As a result, Rossi had ended the race with an 8-point lead over Hayden. Watching the final race of the season at Valencia, Spain, teenaged-Rossi-fanatic-me had been cheering as the sixth consecutive world championship for Rossi seemed in the pocket and much-deserved after a tough season. But such was the turn of events that I scowled at the TV screen moments after the race began as number 46 stumbled off the circuit. Rossi did rejoin the race aboard his Yamaha YZR-M1 finishing 13th, but that was not enough. For, Hayden had played it safe and ridden to a comfortable third-place finish to take the 2006 championship by five points. And that was the day I had truly despised Hayden's guts. "Look at him, standing there with his stupid grin," I mumbled to myself as he celebrated on the podium. Looking back, however, it was one of the most entertaining seasons of MotoGP that I have watched. Years would go by before I realised that the race isn't over until it's over. I cannot recall precisely when after this realisation my dislike for Hayden and his grin vanished, but it did. And I began looking up his history before MotoGP. It was here that I found his stories of consistent hard work be it on an asphalt or a dirt track that truly impressed. Oh, and there wasn't a single word from anyone, saying anything negative about him, over his very long career. There was even a rare instance in the AMA Springfield TT race, where Nicky and his brothers Tommy and Roger Lee comprised the podium. See, Nicky Hayden was a kid that grew up wanting to win it all, and he did. 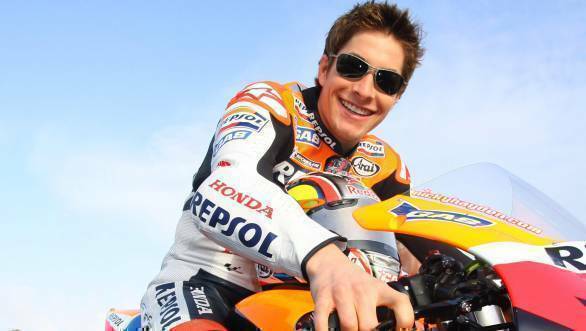 But did not lose his boyish smile - the same smile he carried everywhere and even earned him the title of friendliest face in MotoGP. I realise now that life is too short to hold a grudge, especially one to no logical end. Kentucky Kid - I salute you. And I'm clearly not the only one. Amongst the many tributes, a significant one is that the mayor of Hayden's hometown, Owensboro, Kentucky is about to unveil a statue depicting his winning moment in MotoGP, complete with him holding the American flag. The town will observe June 9 (6/9 - his competition number) as Nicky Hayden Day. Misano have commissioned the Nicky Hayden Memorial Garden near the location of the accident, overseen by Hayden's friend and former mechanic, Denis Pazzaglini. The Circuit of the Americas have named Turn 18 'Hayden Hill', and photographer Mirco Lazzarri has an exhibition at the Autodromo Internazionale Enzo e Dino Ferrari di Imola featuring 69 photos of the number 69. Shine bright like the star your bike always wore, Nicholas Patrick Hayden.